With Tame & Frame Brow Pomade you can finally recreate those immaculate eyebrows that cause so much envy on Instagram. The smudge-proof pomade is easily applied with a brow brush to fill in sparse brow hairs and create a sculpted shape for some seriously formidable arches. The waterproof formula makes it perfect for hot climates and showery spells. Give your brows an exciting new lease of life with this handy brow pomade that effortlessly defines brows and dries quickly. Plus a little goes a long way. It’s smudge and sweat proof, guaranteeing that your brows will stay looking flawless until you take them off at the end of the night. Available in five natural shades, it ensures you’ll have the most natural looking brow that complements your natural colouring. Use a small amount of product this is best applied with an angled brow brush in small delicate strokes mimicking natural brow hairs. Follow the natural arch of your brow for the most flattering shape. Love this and have gone through multiple but if you have the money I recommend getting the Anastasia dip brow pomade it’s much better but this is still very good and easy to apply! Very good. I swear by this. A reliable pomade, rather creamy but still has some viscosity to it to keep it in place. I use the shade brunette (I have black-dark brown hair) and it works well. It is affordable, easy application, not perfect but if you want an inexpensive eyebrow pomade, NYX is for you. This product is absolutely ground breaking like it’s so much better than any other brow product on the market and half the price too, it’s completely waterproof and lasts literally days (if you want it to) and it’s so easy to blend to get stunning brows, also it doesn’t smudge when applying concealer round it too which I find common with most other brow pomade products. 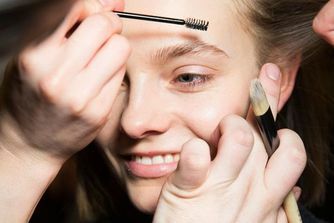 However, it is extremely creamy for like the first few weeks of having it then after that it dries up leaving a crumbly waxy mess, but this usually occurs with like every brow pomade anyway. I also personally think it needs more shades as the blonde is too light and a bit greeny coloured but the chocolate and brunette ones are too dark/too warm toned for me, so I’ve been mixing the blonde and brunette ones but it would be ideal to have a wider shade range. Overall it’s the best brow pomade product imo and amazingly priced although, still does have a few flaws. This started off great and I was over the moon that I had an ABH dupe for cheaper, BUT after a short while it became extremely dry and hard to apply, it was crumbling and patchy on my brows, it looked although I'd left my brows on a few days straight after application. I will not be buying this again. I ordered this product for the first time, last year for my prom night. This was back at the end of June. And I have never used anything else for my eyebrows except for this since then. I was highly pleased with how my brows turned out by the time I was finished. It blends easily and stays on all day! Love this product! I normally use Anastasia Beverly Hills Dip Brow Pomade but this one is exactly the same at a smaller cost! 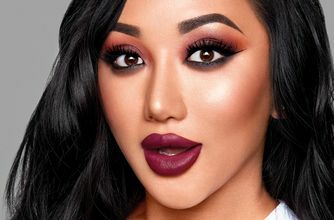 I love the way it glides through the brow and blends smoothly and beautifully. It does exactly what it says and tames as well as frames my stubborn brows! I also love how the product is adaptable as well as buildable. I can have a bold or natural look and it stays in place all day. I loved it. 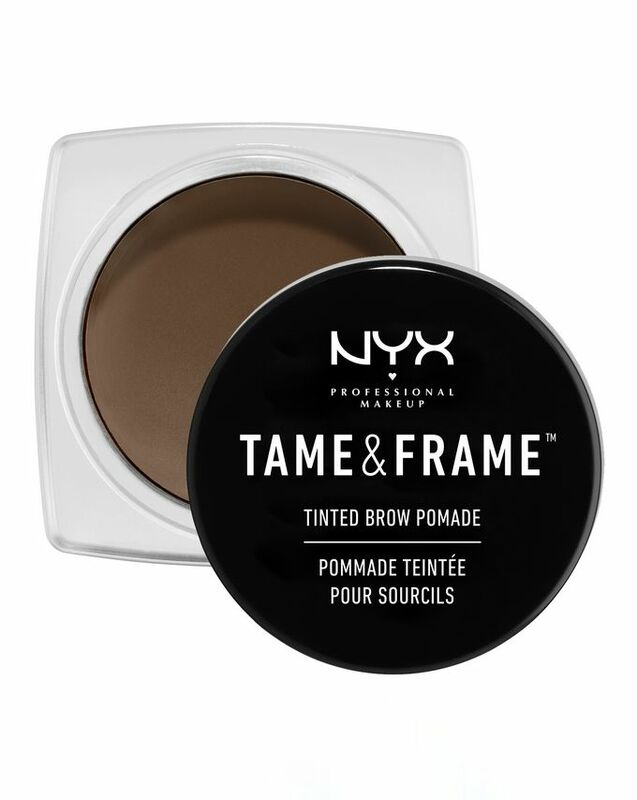 I bought it in color black and it matched my natural eyebrows so well and I don't need to use eyebrow gel to set it after filling it because this pomade works so well and set my eyebrows. I highly recommend it. For the first couple of weeks of using this pomade it's great; it stays in place most of the day and the colour is a good match. However, it dries up very quickly making it hard to apply. I think I will try the ABH one next. It was great when I first used it, but it did dry way too quick. It became dry and hard to use, it was a complete waste. While it's a great dupe for ABH, this product gets far too dry and crumbly. You need to put some baby oil or water in your brush or something to get some moisture. Don't get me wrong, it's an okay product but like a few other NYX products, you definitely get what you're paying for. 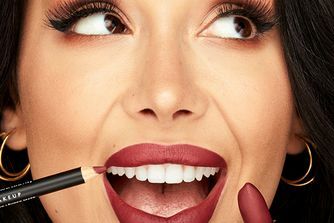 This didn't work for me at all, I wanted to try something similar to the ABH dip brow but at a fraction of the cost, you get what you pay for and I would recommend the ABH dip brow all day long. I had this before and I loved it, then I switched to a Rommel wax which I love. I came back to this and bought a new one but found it super hard to apply. It's stiff and it crumbled off my brush, although the pigmentation is great. I looovveee this product! I have dirty blonde hair but I have brown eyebrows so I bought chocolate...It stays on all day long and tames the brows well. I used to use the Anastasia Beverly hills dipbrow pomade but I found that it dried out a bit so I thought I would go looking for an alternative and I found this! Definitely worth it and considering the price I would recommend it to everyone. This is my go-to brow product. It’s easy to apply and I prefer it to the ABH & Benefit pomades because it’s not as thick and doesn’t dry up as easy, plus it’s cheaper. It lasts me a few months and I wear brows everyday, so regardless on how heavy you apply your eyebrows it’s definitely worth the money.